Too bad Moskvin took his expertise to unhealthy new levels. 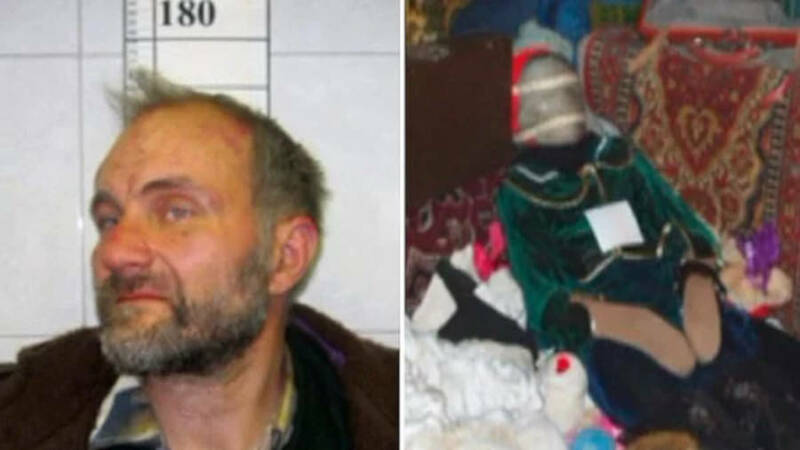 In 2011, the historian was arrested after the bodies of 29 girls between the ages of three and 25 were found mummified in his apartment. Anatoly Moskvin was known as the ultimate expert on cemeteries in his city of Nizhny Novgorod, Russia. He attributes his obsession with the macabre to a 1979 incident when the historian was 13. Moskvin shared this story in Necrologies, a weekly publication dedicated to cemeteries and obituaries, to which he was an avid contributor. In his last article for the publication, dated Oct. 26, 2011, Moskvin divulged how a group of men in black suits stopped him on the way home from school. They were en route to the funeral of 11-year-old Natasha Petrova and dragged young Anatoly along to her coffin where they forced him to kiss the girl’s corpse. Moskvin wrote, “I kissed her once, then again, then again.” The girl’s grieving mother then put a wedding ring on Anatoly’s finger and a wedding ring on her dead daughter’s finger. “My strange marriage with Natasha Petrova was useful,” Moskvin said in the article. Strange, indeed. He said it led to a belief in magic and ultimately, a fascination with the dead. Whether the story is even true is beside the point by now, as his disturbing thoughts would go unchecked for more than 30 years. Anatoly Moskvin’s interest in the corpse-kissing incident never abated. He began to wander through cemeteries as a schoolboy. Russian Interior MinistryAnatoly Muskvin’s mug shot from 2011. His macabre interest even informed his studies and Moskvin eventually earned an advanced degree in Celtic studies, a culture whose mythology often blurs the lines between life and death. The historian also mastered some 13 languages and was a many-times published scholar. Meanwhile, Moskvin roamed from cemetery to cemetery. “I don’t think anyone in the city knows them better than I do,” he said of his extensive knowledge of the region’s dead. From 2005 to 2007, Moskvin claimed to have visited 752 cemeteries in Nizhny Novgorod. He took detailed notes on each one and delved into the histories of those buried there. The hands-on historian claimed to have walked up to 20 miles per day, sometimes sleeping on hay bales and drinking rainwater from puddles. Moskvin posted a documentary series of his travels and discoveries entitled “Great Walks Around Cemeteries” and “What the Dead Said”. These continue to be published in a weekly newspaper. He even said he spent one night sleeping in a coffin ahead of a deceased person’s funeral. His observations were more than just observations, however. In 2009, locals began to discover the graves of their loved ones desecrated, sometimes completely dug up. 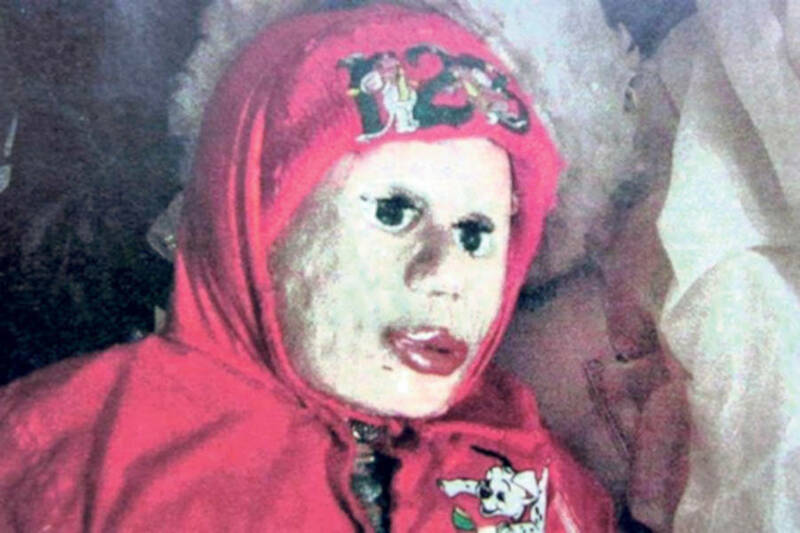 Иван Зарубин / YouTubeThis doll appears very life-life because it used to actually be alive. But for nearly two years, the Interior Ministry’s leads went nowhere. Graves continued to be desecrated and no one knew why. Then, a break in the investigation came following a terrorist attack at Domodedovo airport in Moscow in 2011. Shortly afterward, authorities heard reports of Muslim graves being desecrated in Nizhny Novgorod. Investigators were led to a cemetery where someone was painting over the pictures of dead Muslims but not damaging anything else. This was where Moskvin was finally caught. Eight police officers went to his apartment after they apprehended him at the graves of the Muslims to gather evidence. What they found there shocked them all — and shook the world. The 45-year-old lived with his parents in a small apartment. He was reportedly lonely and something of a pack-rat. Inside authorities found life-sized, doll-like figures throughout the apartment. The figures resembled antique dolls. They wore fine and varied clothing. Some wore knee-high boots, others had makeup on over faces Moskvin had covered in fabric. He had also hidden their hands in fabric. Except these were not dolls — they were the mummified corpses of human girls. This footage may disturb some viewers because every so-called doll in the footage is actually a dead human body. When police moved one of the bodies, it played music, as if on cue. Inside the chests of many of the dolls, Moskvin had embedded music boxes. There were also photographs and plaques taken off of the gravestones, doll-making manuals, and maps of local cemeteries strewn about the apartment. Police even discovered that the clothes worn by the mummified corpses were the clothes in which they were buried. 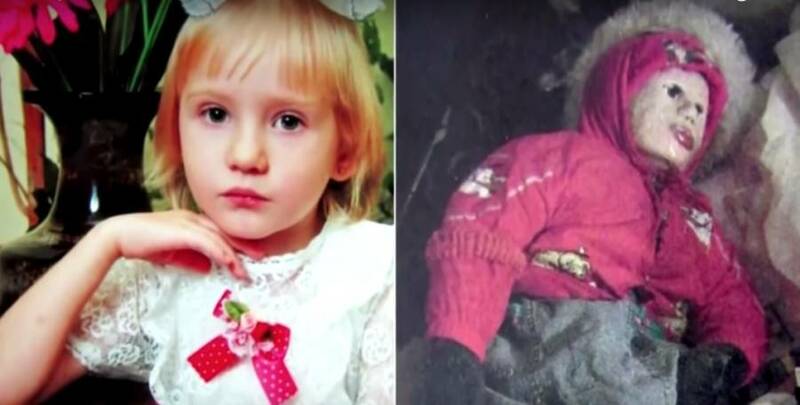 Investigators later found music boxes or toys inside the bodies of the dead girls so that they could produce sounds when Moskvin touched them. There were also personal belongings and clothing inside some of the mummies. One mummy had a piece of her own gravestone with her name scrawled on it inside her body. Another one contained a hospital tag with the date and the cause of the girl’s death. A dried human heart was found inside a third body. Moskvin admitted that he would stuff the decayed corpses with rags. Then he would wrap nylon tights around their faces or fashion doll faces onto them. He would also insert buttons or toy eyes into the girls’ eye sockets so that they could “watch cartoons” with him. The historian said that he mostly loved his girls, though there were a few dolls in his garage which he claimed to have grown to dislike. He said he dug up graves of girls because he was lonely. He said he was single and his biggest dream was to have children. Russian adoption agencies wouldn’t let Moskvin adopt a child because he didn’t make enough money. Perhaps that was for the best, judging by the condition of his pack-rat apartment and psychotic obsessions with dead people. Moskvin added that he had done what he did because he was waiting for science to find a way to bring the dead back to life. In the meantime, he used a simple solution of salt and baking soda to preserve the girls. He celebrated the birthdays of his dolls as if they were his own children. East 2 West NewsAnatoly Moskvin’s parents. Shoes in Moskvin’s apartment matched footprints found near desecrated graves and Police knew without a doubt that they had their grave robber. 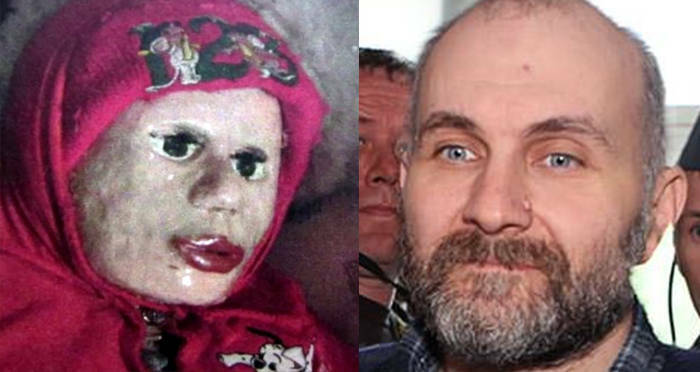 In all, authorities discovered 29 life-size dolls in Moskvin’s apartment. They ranged in age from three to 25. One corpse he kept for nearly nine years. Moskvin was charged with a dozen crimes, all of which dealt with the desecration of graves. The Russian media called him “The Lord of the Mummies” and “The Perfumer” (after Patrick Suskind’s novel Perfume). Pravda Report This is, perhaps, Moskvin’s creepiest mummified corpse. Neighbors were shocked. They said that the renowned historian was quiet and that Moskvin’s parents were nice people. Sure, a rancid smell emanated from his apartment whenever he opened the door, but a neighbor chalked that up to the “stink of something that rots in the basements,” of all the local buildings. Moskvin’s editor at Necrologies, Alexei Yesin, didn’t think anything of his writer’s eccentricities. “Many of his articles enlighten his sensual interest in deceased young women, which I took for romantic and somewhat childish fantasies the talented writer emphasized.” He described the historian to have “quirks” but would not have imagined that one such quirk included the mummification of 29 young women and girls. Will Anatoly Moskvin Ever Go Free? 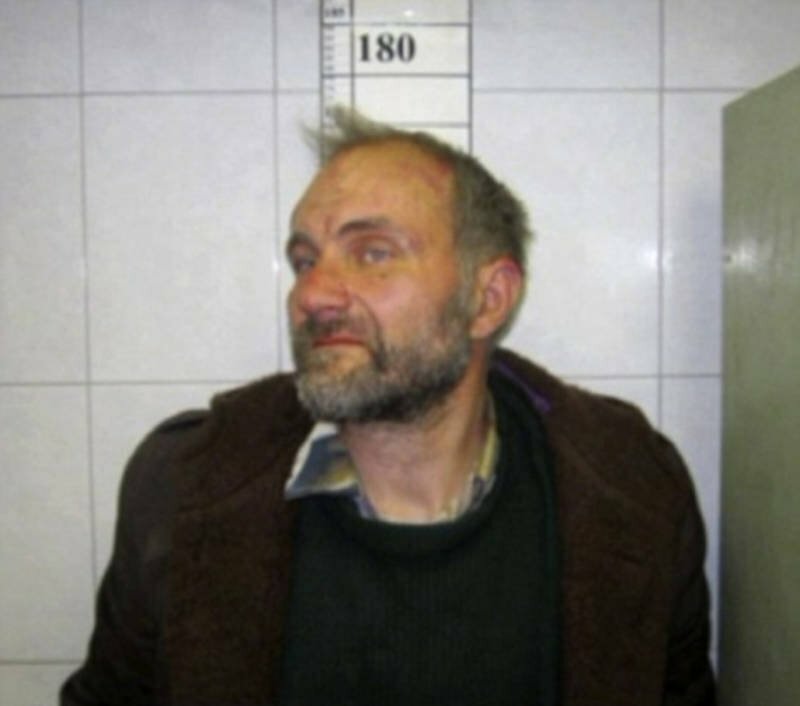 Moskvin was diagnosed with schizophrenia and sentenced to time in a psychiatric ward following his sentencing. Though as of September 2018, he was faced with the opportunity to continue psychiatric treatment in his home. The victims’ families think otherwise. Natalia Chardymova, the mother of Moskvin’s first victim, believes Moskvin should stay locked up for the rest of his life. 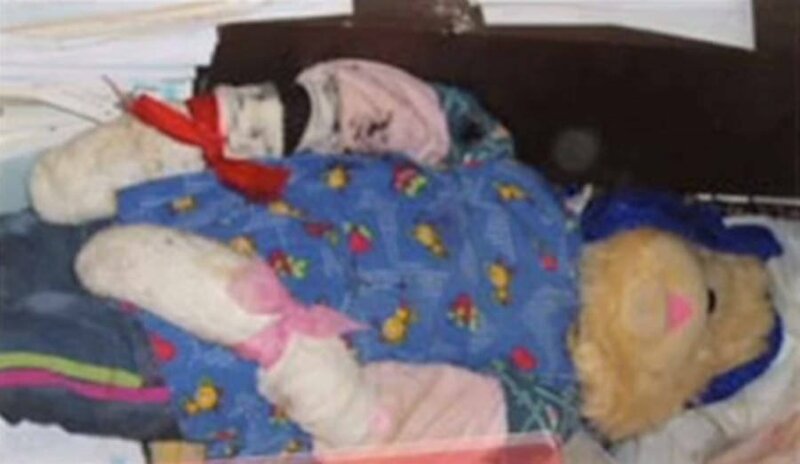 This is a photo of one of Moskvin’s victims and her mummified corpse. Look at the noses in both photos — they are identical. Local prosecutors agree with Ms. Chardymova’s assessment, even though psychiatrists say Moskvin, now in his early 50s, is improving. Since his prosecution, several of Moskvin’s colleagues quit their collaboration with him. His parents live in utter isolation as their community ostracizes them. Elvira suggested that she and her husband perhaps just kill themselves, but her husband refused. Both are in an unhealthy condition. Moskvin allegedly told authorities to not bother reburying the girls too deeply, as he will simply unbury them when he is released. After this look at Anatoly Moskvin, examine the curious case of Carl Tanzler, the Key West doctor who fell in love with a patient and then kept her corpse. Or, read about Sada Abe, a Japanese man who loved his a woman so much, he murdered her and then kept her body as a sexual keepsake.